We’ve packed all the good stuff in one crunchy cracker. Treat yourself to nutritional whole grain taste with the perfect hint of sea salt. They pair perfectly with wholesome toppings like fruits and veggies. 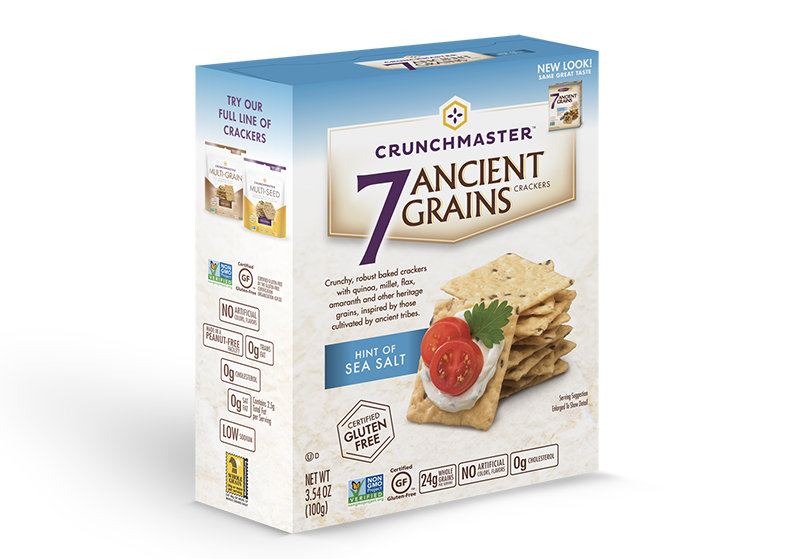 Our 7 Ancient Grains Crackers are made with the very best ingredients.